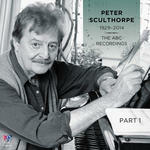 Recorded/performed at: Adelaide Town Hall, on 26 Sep 08. 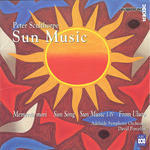 Andrew Schultz Adelaide Symphony Orchestra, Arvo Volmer 17 mins, 30 sec. Score: Ghosts of reason, opus 76 : Symphony no. 2, for orchestra / Andrew Schultz. 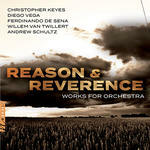 CD: Reason & reverence : works for orchestra / Christopher Keyes, Diego Vega, Ferdinando De Sena, Willem van Twillert, Andrew Schultz.